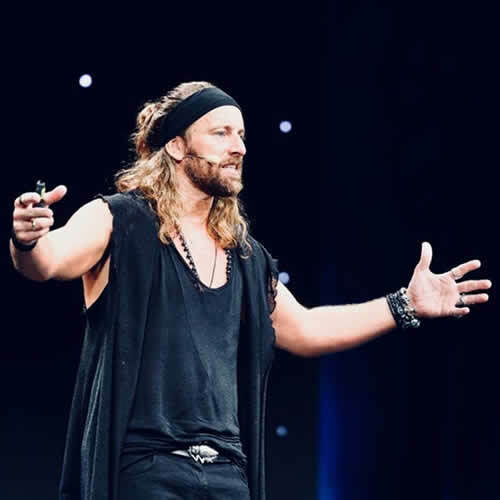 Based in Frankfurt, Germany Anders Indset is a Norwegian-born entrepreneur and philosopher that offers an unconventional but inspiring approach on several global subjects, including business and technology. Indset is also a co-founder of the Frankfurt International Alliance. The FIA encourages the entrepreneurial growth of networking between professionals that allows them to reflect and discuss the future if business as well as the protocols being undertaken. Rather than follow convention and use a series of buzzwords during his speeches, Indset thinks outside the box and offers a fresh outlook on several subjects including social topics, business issues as well as elements of curiosity and personal learning. It opens business owners an open forum and discourages the carrying out of “behind the curtain” deals, allowing for a more transparent marketplace. In an evolving business world, it’s easy to lose sight of what’s important. Anders seeks to gain out attention and promoted what action needs to be taken to ensure that the future is a viable one. While embracing the concept of technology, Indset also promotes how valuable human input is, regardless of the guise. Businesses should be evoking the philosophy of the past and integrating it with the scientific knowledge and technology of tomorrow. 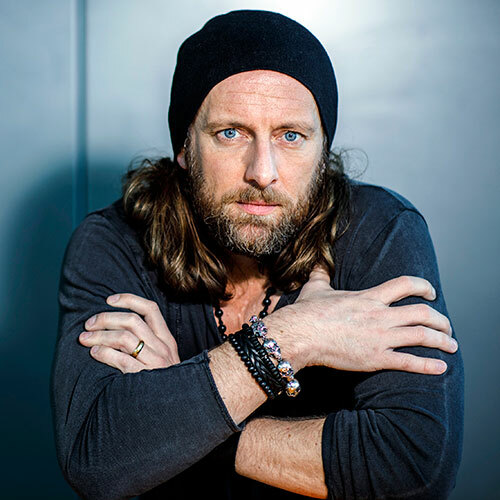 Anders’ innovative thinking has led him to become one of the most sought-after speakers in the global business sphere. The popularity of Indset’s work can be attributed to several businesses embracing his philosophy, and how this can be used to survive the many challenges that a business can face in the 21st century can face. Indset uses his 10 postulates of change to ensure that a viable framework is in place that helps professional advance in a fast-paced world. He is also an occasional tech advisor and is also a trusted advisor for Global CEOS and politicians. When looking to make improvements to business and ensures that a company is moving in the right direction, it’s not unusual for it to look at professionals for some inspiration. Despite the many conventional talks doing the rounds, which while useful can seem a little monotonous and basic, Indset turns the audience on its head and really forces the crowd to think outside the box. There’ a huge difference as to what is said during a keynote speech as opposed to the way it’s said. Rather than entering the arena with a prepared speech, Indset works the room to ensure everyone is immersed in his passionate outlook of the world. Indset understands how easy it is to be dragged along by the wave of advancements and innovations but outlines the importance of taking a step back to assess situations and evaluate whether a new way of thinking could offer a business more opportunities in the future. Regardless of whether you talk to friends on Facebook, or run an e-commerce enterprise, there use of algorithms will be prevalent in many aspects of everyday life. Despite the many benefits algorithms offer, it’s important to ensure that there is still a human element when it comes to making decisions. Anders states that society has become more insecure and is relying more and more on technology, which can be a dangerous mindset. The original mindset of Indset has seen him ranked as one of the 30 Global Speakers that is most likely to shape the future of business, including management and leadership. Algorithms seek to replace the more monotonous of human tasks which allows a company to build a better repertoire with a customer. Examples of these algorithms can be seen with Facebook Business pages, which normally offer an instantons chatbot for frequently asked questions. This can mean that less manpower is taken up by generic queries, allowing for more time to be invested in other sectors of the business. However, should these algorithms continue to progress to deal with more complex queries, then there is a danger of the human element not being present anymore. This means that an important aspect of the business world could fade into the background, which halts the progression that the human mind can offer. Although algorithms can be used to our benefit, philosophers such as Anders are promoting the concept of sharing ideas and building an understanding of different vantage points. The Inspiring Leaders podcast is a series of compelling interviews held with inspirational and professional speakers from around the world that use a format like TED Talks to offer immersive and informative talks. Inders stated the podcast by declaring how he faced each new day and stated that he is always keen to learn. He compared his approach to that of an old black and white television, in that there are only two states, on or off. Inders also gave an overview of the views the world today, and how the future will affect us. He says that as a whole the struggles many face is that they are not able to identify where there are problems in various industries. He believes that progress will be in place once progresses are discussed, and the interspaces of different disciplines are examined further. The success of Indset’s talks in the business realm has meant that more and more people are keen to look at the options available to them, and what steps need to be taken to be primed for success in the 21st century. The led Anders Indset to release his first book “Wild Knowledge” which soon became a hit with businesses and professionals alike. The book advises how to blend theoretical principles, such as empathy, realism and serendipity with applicable methods to open up a slew of new business opportunities. The excitement and urgency of the text has made entrepreneurs and business owners pay attention and start reflecting on their business model and approach to the business world overall. “Wild Knowledge” has been popular among readers for its no-nonsense approach to the word of business. Rather than fill the book with industry buzzwords, Anders adopts a different approach and even challenges some of the more out-dated terms that are still used by businesses and professionals. For example, he tells people not to rely on the term “work-life balance” as he feels it is an outdated term which never really offered professionals any benefits in any event. He states further that is no distinction between work and life, as every aspect is part of your life. As such, simplicity derives from the use of common sense and showing empathy. Indset also points out that many people become caught up with the word, which means they can lose track along the way. Instead, we should simply take action, as this is where progress comes from. Sure, there will be challenges in the way, but not taking a chance could mean that a professional build more obstacles moving forward. The demand for Anders can be attributed to several reasons. Firstly, he commands the attention of the room without using aggressive tactics. Businesses and professionals enjoy the keynote speeches delivered by Indset, as he encourages them to look at life in a different way. As well as offering fresh perspectives on modern iterations of the business world, Indset has a passion for people. He doesn’t see them as numbers or shadows in the background, he sees them as sources of inspiration and having the capacity to make changes. He also stresses how important it is to be independent, and not become over-reliant on modern-day forms of thinking. His popularity can also be attributed to his unique approach. Indset delivers his theories in an easy-to-understand way and can be employed by a series of businesses, regardless of whether they’re a startup or a global empire.